Washingtonian's Todd Kliman reports in Tuesday's online chat that Morou has found a spot for his new restaurant in Old Town Alexandria--far (enough) from the scandal-tainted Signatures location. 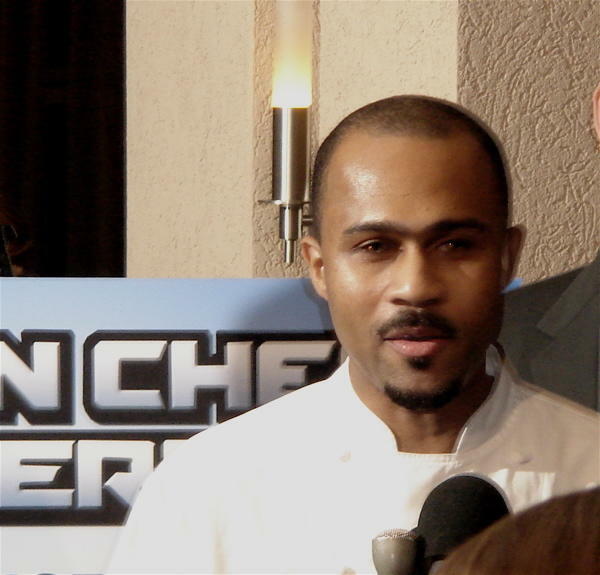 The 66-seat restaurant may open as early as September, Kliman reports, in the former Blue Point Grill space at 600 Franklin St.
Morou is also scheduled to compete on "Iron Chef America" in the coming months, with Mayor Anthony Williams serving as a (completely objective?) judge. Metrocurean is glad to see Morou rising from the Jack Abramoff ashes. Old Town? That's kind of a dissapointment. The location for the new restaurant is mentioned, later in the chat. It will be the space where Blue Point Grill was. Ah, thanks for your attention to detail. So that would mean 600 Franklin. Farrah Olivia is scheduled to open tomorrow night (11/7/06)for dinner.